We’re all about the big screen this weekend when Las Vegas ushers in music’s brightest stars, and the movie world’s most nostalgic supporting actors. With concerts of colossal proportions and the silver screen’s hottest four-wheeled stars, the town will be dripping with celebrities (yeah-yeah more so than usual). We’re still a little dazed from all the air guitar and head banging we did last weekend to bands like Metallica and Linkin Park. But this weekend, we’re putting away our old concert tees in exchange for fist pumping and hip shaking with pop headliners Taylor Swift, Ed Sheeran, Bruno Mars and John Legend. Rock in Rio is 37 acres of extreme shenanigans to be had. 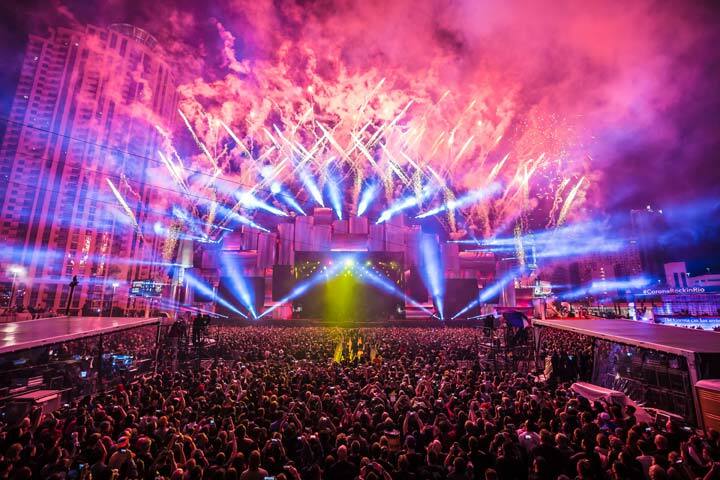 From street performers and zip lining over screaming crowds to six stages of grooving and gyrating – this is not just a music festival. It’s an adult wonderland of good food, good shopping and great memories to be made (provided you can actually remember what you did), all to the beat of your favorite soundtracks. 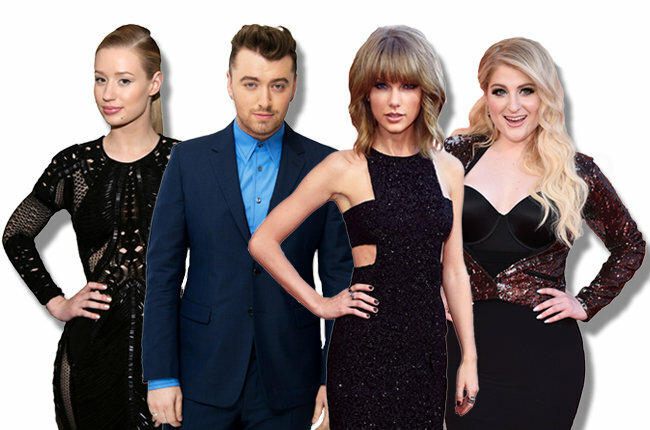 On Sunday, the MGM will roll out the red carpet for music royalty at the 2015 Billboard Music Awards. Hosted by ridiculously funny and gorgeous supermodel Chrissy Teigen (seriously, how is that even fair to hilarious and smokin’ hot?) and rapper Ludacris, the show will feature live performances by Britney Spears and Iggy Azalea, Mariah Carey, Faith Hill with Little Big Town, Van Halen and more. Finally, the genres you love all in one place besides just your iPod. This year T. Swift has scored the most nods with 14 nominations in 13 categories (big surprise there), closely followed by Sam Smith with 13, Iggy Azalea with 12 and Meghan Trainor with nine. You don’t have to sit on the couch in cocktail attire, wishing you could be a part of all the action. There are still tickets to be had for this year’s show. The Hard Rock Hotel & Casino is kicking off summer the best way possible, with a pool, lots of booze and some really loud music. In their inaugural concert bash, the JBL Sound Stage will play host to grunge frontwoman and all-around upstanding citizen Courtney Love. This singer, songwriter and actress is making a pit-stop in Vegas before heading back on the road in her highly anticipated Endless Summer concert tour with Lana Del Rey, which kicked off last weekend. Love will rock the stage with special guest, Kitten. Why pay for a hundred different concert tickets when you can get the same voices out of Véronic DeCaire? You know you’re a pretty big deal when Celine Dion signs on to co-produce your show. The truth is, Véronic DiCaire has more talent in her little finger than most people do in their entire bodies. She’s a vocal impressionist who can mimic the music world’s most influential superstars. Her act “One Singer…Fifty Voices” features vocals from Vegas headliners Celine Dion and Britney Spears, as well as Madonna, Alicia Keys, Carrie Underwood, Whitney Houston, Liza Minnelli, Katy Perry and so many more. Fresh off her European tour, Véronic DiCaire is returning to Bally’s Las Vegas for a limited time engagement. Great Scott! This weekend, the Fremont Street Experience is being taken over by the world’s most famous movie cars. Grab your tissues because this might make you cry your eyes out: it’s been 30 years since “Back to the Future” was first released in theaters. 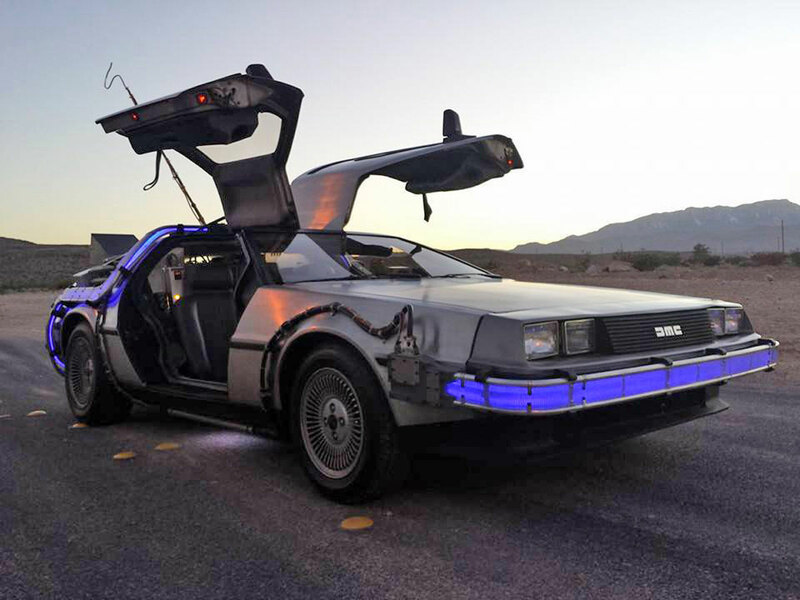 In honor of this ’80s cult classic, the good folks over at Las Vegas Car Stars are showing off several special guests, including the DeLorean from “Back to the Future,” “Batman’s” Batmobile, “Starsky & Hutch” Movie Hero Cars, “The A-Team” van, Herbie from “The Love Bug,” the 1959 Cadillac from “Ghostbusters” and more. But that’s not all; the event will host a special meet and greet with stars of the film Christopher Lloyd and Lea Thompson and the writer, Bob Gale. This is what you’ve been waiting for – a reason to drag those acid-wash jeans out of the black hole in your closet. 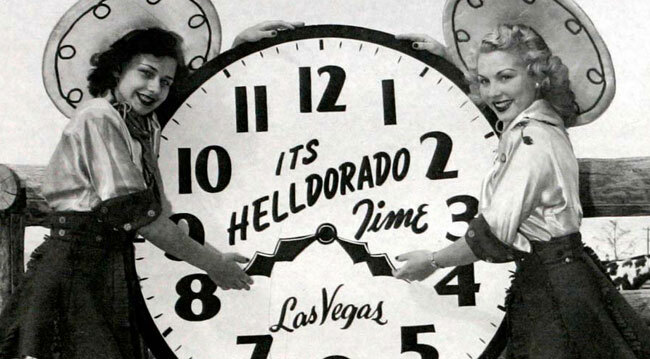 Celebrate Vegas’ cowboy roots at Helldorado Days. Wanna know what the locals are doing this weekend? They’re downtown, celebrating the 81st Helldorado Days. Starting in 1934, it was originally planned to let the Hoover Dam builders blow off some steam. It even had its very own “hoochie coochie dance,” which we can only imagine was blush-inducing in those days. Of course if you want to see that now, all you have to do is take a walk down the Fremont Street Experience after the sun goes down. Each year, more than 15,000 people attend the festival to celebrate the days of the Wild Wild West. There are rodeos, a parade, a carnival, exhibits, poker and golf tournaments, and a local favorite, the Whiskerino beard contest. For the ultimate piece of street cred with the locals, make sure you stop by.